Catrin is a highly experienced vocalist and an engaging live performer who has worked with mainstream recording artists, major producers, record labels and songwriters all over the World. On top of her own successful solo career Catrin has experience in singing lead vocals for film, television and stage, theme songs and jingles for radio, backing vocals for touring artists, tracking guide vocals for songwriters and has her own successful solo career. Catrin is an enthusiastic songwriter and as well as writing her own material, regularly does commission work for organisations and sync work for film and television. Cat can write vocal arrangements for recording artists and producers, small groups and large choirs. Catrin’s love of performing comes across in her theatrical live shows, captivating her audiences and earning her a Best Live Act award at the Exposure Music Awards. Her natural ability to connect with the audience has won her a dedicated fan base, sell out shows and Artist of the Week on BBC Radio Wales. Can Sing All Styles: Rock, Jazz, Gospel, Pop, Musical Theatre, Classical. Catrin has her own home Studio but also has easy access to larger studios for strings and choirs. Catrin was born in Aberdare, South Wales. Brought up in a Musical family, she developed a love for singing and performing at an early age. At the age of 8, Catrin was fortunate to start her vocal training in the bel canto style, when English National opera mezzo soprano Moira Hose moved into the street behind the family home. Catrin would spend hours after school with Moira listening to the classical greats and honing her own style, and performing at every opportunity, at chapel, local concerts and the Eisteddfod (Welsh Festival of music, literature and performance). Catrin’s study and practice paid off when at 15 she was awarded a Distinction in her Grade 8 Exam with the Associated Boards of The Royal School of Music, and won a prestigious Music prize, ‘The John Tree Award for Young Musicians’ before setting off to university. Catrin choose to further her education at Trinity College where she studied Theatre, Music and Media. The course enabled Catrin to take her second year studies in Central College, Iowa, USA. Having developed a love for US rock and pop performers growing up, and an explorer at heart, Catrin jumped at the chance to further develop her singing overseas. Catrin’s education gave her opportunities to study many different genres including Opera, Jazz, Gospel and popular music. On her graduation Catrin had the honour of receiving the Stuart Burrows Bursary following her final recital. Catrin then began her singing career, firstly as a backing vocalist for S4C (Channel 4 Wales) Welsh Language television programmes such as ‘Noson Lawen’, ‘Ma Ifan Ma’, ‘Dechrau Canu, Dechrau Canmol’, Can i Gymru (A Song for Wales) . Her television sessions developed into live performances, as backing vocalist for headline acts at from Cerys Matthews and Michael Ball to Tom Jones, and Bryn Terfel at his ‘Y Faenol’ Festival. For the next 10 years Catrin would front her own successful band ‘Sal’ as well as working as a professional soloist, performing at concerts, recitals, weddings, and as a studio session singer. Catrin’s musical experience steered her in many directions including becoming a top soprano in the BBC National Chorus of Wales, a community music tutor working with adults and children, a choir director, working with community groups and choirs across Wales. Catrin worked with cancer Charity Tenovus to create a choir for Channel 4′s ‘Sing For Your Life’ where she took 32 people who were in treatment for cancer, on an incredible journey. Part choir, part support group their shared experience bound them together as they prepared for the biggest gig of their lives at The Royal Albert Hall. The Big C choir were formed as part of the Tenovus Sing With Us Choir project of which Catrin spent wonderful years as a choir leader. Catrin is an incredibly talented songwriter, working for other artists and producers as well as writing her own original solo material. Catrin is very proud of the artists and albums on which she’s worked, including the Manic Street Preachers ‘Postcards From a Young Man’ album in which she performed lead backing vocal duties as well as writing the gospel vocal arrangements. Cat will be releasing her solo album this year. Her single ‘One Day At A Time’ received rave reviews and made her BBC Artist of the Week on BBC Radio Wales. Catrin continues to develop her career as a performer and recording artist. To see for yourself check out her Showreel here. Catrin has been performing at weddings and other functions across the UK for over ten years. 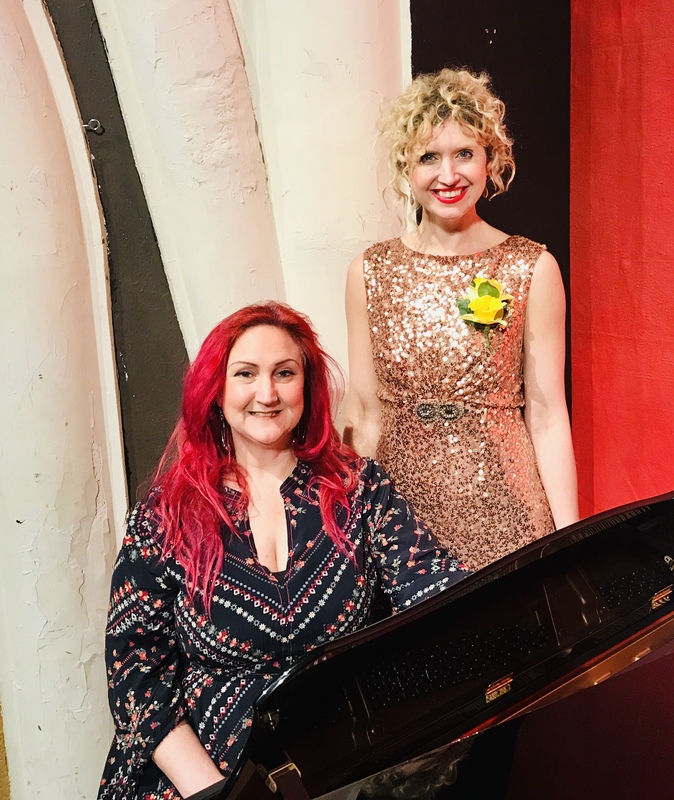 Genres include pop, rock, indie, soul, classical, musical theatre, cabaret and motown covering eras from 1950s to present day, ensuring no one in your audience is left unsatisfied. Catrin is also more than happy to take requests from you and learn your first dance song to make the night that extra bit special. Catrin has performed in some of the World’s most prestigious venues such as the Royal Albert Hall, Theatre des Champs-Elysees, Paris to the Wales Millennium Centre, Cardiff. Cat also has extensive TV experience having already performed on many mainstream shows including ‘Strictly Come Dancing’ and ‘Jools Holland’, you may also have seen her on Channel 4′s major documentary ‘Sing For Your Life’. Catrin is an extremely versatile performer and singer and can tailor your special night to suit the exact mood that you’re looking for! Catrin has experience performing at hundreds of locations across the country, ranging from manor houses to marquees, churches to charity balls, and can provide an entertainment system to fill any room or open space. Catrin performs with professional backing tracks, however she can also provide a full live band, piano accompaniment, an acoustic guitarist or even strings for your function if booked in advance, and at an extra cost. Catrin is also happy to form a specialist group to help provide the right atmosphere for your event. Catrin works with extremely versatile and professional musicians. With an extensive clientele list, they have worked all over the country at hundreds of function events. You can rest assured that whether you book a big band or Catrin by herself, you will receive the same great entertainment every time! Arrival and discrete set up of equipment can be completed before your guests arrive, microphones can be provided for speeches and background music can be played or performed early on before the evening kicks off. Catrin has her own top of the range PA system which she provides for all her gigs making her a totally self contained act. Set up and sound check is included in any quotes given to you. Here are some example packages with an indication of price. If these particular wedding entertainment packages fail to fulfil your needs please contact Cat and she will endeavour to create a package purely for your entertainment needs. This package is everything you need to entertain your guests from the wedding breakfast, until the end of the night. This is one of Catrin’s most popular packages. Catrin will sing two 20 minute sets as you require. Example: The singing can take place in between courses. 1 set after the starter, the 2nd after the main meal. This formula works best, if you have between 40 and 120 guests then it can easily take 20 minutes for the venue to clear away plates and serve the next course. This time lapse is filled by music and keeps everyone entertained. Music during the day is relaxed, Classical, Theatre, Rat Pack, Jazz & Swing, easy listening etc. Catrin gets into character and brings the songs to life. This is a playlist chosen by you, played when needed at times when Catrin is not performing, specially selected to your liking & to reflect the time of day and the atmosphere required. Your choice of three songs, 1 song to be played whilst you walk down the aisle, song 2 as you sign the register, song 3 as you exit the ceremony. Cat will learn & perform the songs of your choice and provide backing/ accompaniment. Cat can perform 2 x 45 minute, 3 x 30 minute or 1 x 30 minute and 1 x hour sets. Cat can perform from a vast selection of songs covering all genres and can also learn any special requests (arranged in advance). The object of an evening performance is to get everyone dancing! Your first dance song performed live to make it more special and personal! Catrin is happy to play your selected playlist of songs through her sound system throughout the day and following the evening set, keeping the party going. Quality equipment and sound checked before any guests arrive. Prompt & discrete ‘set up’ & ‘pack down’ of equipment. This package is for evening entertainment only. The evening packages are based on an arrival time of 6pm and can start anytime from 7pm with a cut off point of no later than midnight. If you need it later then please state this in your enquiry. Catrin often performs the following ‘sets’ – 2 x 45 minute, 3 x 30 minute or 1 x 30 minute and 1 hour – but can work to whatever plans you may have. Catrin performs a selection of songs from all genres including any special requests (arranged in advance). The object of an evening performance is to get everyone dancing! Your first dance performed live to make it more special and personal! Quality equipment and an aim to sound check before guests arrive, if possible. Catrin can decorate the stage to add to the atmosphere. The Silver package is for people looking for that extra special something during their ceremony but also not forgetting their guests entertainment needs during the day. This package is Ideal for Wedding Breakfast Entertainment or the Daytime Reception whilst photos are being taken. The entertainment times can be organised to suit your plan for the occasion. This is music selected by you to be played while the guests wait for your arrival. Music is pre selected to your exact choice and order. Cat can decide for you or help with any decisions. Cat will control all the music and you will not have to rely on any hotel staff or their sound systems. Your choice of three songs, 1 song to be played whilst you walk down the aisle, song 2 as you sign the register, song 3 as you exit the ceremony. Cat will learn & perform the songs of your choice. This is often booked between 2pm and 5pm. Cat will perform a light entertainment set of the genres of your choice, keeping your guests entertained between the days events. This is music selected by you to be played or sang while the guests wait for your arrival, music is pre selected to your exact choice and order on a playlist or Live. Catrin can decide for you or help with any decisions. Catrin will control all the music and you will not have to rely on any venue staff or their sound systems. Cat also works with a harpist and can include a harpist in the package if you’d like. CAT HAS EXPERIENCE RANGING FROM SMOKY NIGHTCLUBS, TO LARGE OUTDOOR FESTIVALS, TO CATHEDRALS, THEATRES AND WORLD STAGES. Cat has performed in some of the World’s most prestigious venues as a Soloist and with her experienced live band including the Royal Albert Hall, Theatre des Champs-Elysees, Paris, Wales Millennium Centre, Cardiff, Royal Festival Hall, Winter Gardens Ballroom, Brixton Academy, London Astoria, Greenman Festival, Isle Of Wight Festival, Cheltenham Race Course, Tivoli Gardens Copenhagen, NXNE Toronto. She performs regularly as a soloist for Choirs, amongst many she has performed with the BBC National Chorus, the Welsh Musical Theatre Orchestra, Cwmbach Male Choir, Morriston Orpheus Male Voice Choir, Pendyrus Male Voice Choir, Tenovus Cancer Care Sing With Us Choirs. Cat also has extensive TV experience having performed on BBC Wales, ITV Wales, S4C and Channel 4 on shows including ‘Strictly Come Dancing’, ‘Jools Holland’, Noson Lawen, Can i Gymru. A VETERAN OF MANY HUNDREDS OF SESSIONS, CAT’S TOTAL PROFESSIONALISM AND SPEED OF WORK WILL COME AS A RELIEF TO ENGINEERS AND PRODUCERS EVERYWHERE. Equally, her adeptness at ad-libbing and readiness to come up with original arrangements has made her popular with people who appreciate a singer with ideas as well as someone perfectly happy to take direction and follow the script. These qualities gained the trust of the Manic Street Preachers, who first used Cat for their top 10 album ‘Postcards from a Young Man’ for vocal arrangements and performance and again entrusted Cat on their single ‘This is the Day’. Cat’s vast experience in different styles, her eclectic influences, vocal training and ability to sight read make her unbelievably versatile as a singer. She is committed to her instrument, has an excellent range and is able to adapt to any session and style of working, whether that be classical or popular. From vocal arrangements for record through to engaging live performances, Cat’s your girl. Catrin’s enthusiasm, experience and technical advice make her sessions effective and fun. Catrin will find your natural voice and build on it so that you can reach your full potential. She will help you to you to achieve true vocal excellence and will help you find repertoire that is suitable for you and empower you to reach your singing goals. From workshops to private tutoring Cat offers singing sessions for all experience levels. CAT’S PROFESSIONALISM SPANS MANY DISCIPLINES. From providing subtle harmonies through to rip-roaring lead vocals. For songwriters who’d perhaps like a little input arranging the BVs, to full arrangements, Cat’s a willing and happy contributor. As a songwriter herself she has the sensitivity and understanding to build on the strengths of a song rather than detract from it. Cat has arranged vocals for all sorts, from solo performers to choirs, in all different styles from close harmonies to counter-melodies. Cat never slips into predictability with her bespoke arrangements, so you can assure your arrangement will be unique. However if it’s predictability your after, Cat is happy to follow. Cat will stand alone as a vocalist or just blend into the track, whatever the artists needs. If it’s bigger groups of singers you’re after, Cat has a great understanding of the conductor choir dynamic. As musical director of many choirs over the years including the Tenovus ‘Sing With Us’ Cardiff, Swansea and Bridgend choirs, The Big C Choir, The Red Rose Singers as well as performing with the BBC National Chorus for Wales, Cat can find you the perfect blend of voices for your project. Cat worked with Leona Lewis to create a choral arrangement for her song ‘Run’ and has even had Russell Watson singing one of her tenor parts. Cat is based in the UK, but distance is not a problem, as Cat has a Pro Tools set up in her home studio, making online collaboration and remote recording a practical and efficient way to work.